There was a good turn out of British GT runners at Silverstone today (a pretty chilly Silverstone, but at least sunny) – for the Avon Tyres British GT Championship Media Day. One car was running without a transponder, but these are the best times from the 18 cars that did register on the timing screen. For reasons that will be explained, some times weren't particularly relevant. GTC #5 Trackspeed Porsche 911 GT3 Jonny Lang / Matt Allison no time. Plenty of news to come from throughout the field in due course. 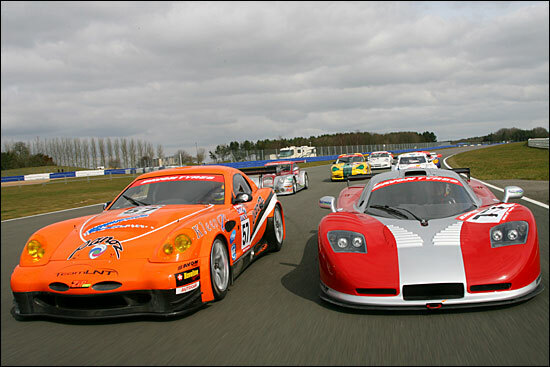 Here, the field is led by one of the (LMS) LNT Esperantes and Kevin Riley's Mosler.